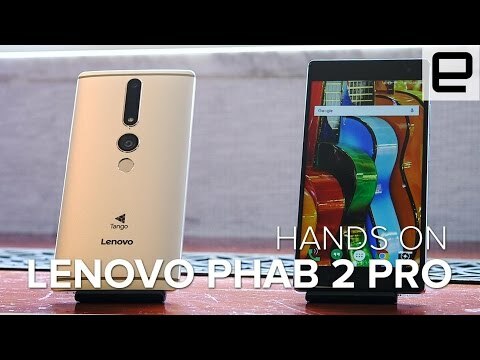 The Lenovo Phab 2 Pro is the first Project Tango smartphone. It packs a 6.4 inch QHD display, 4GB of RAM and 64GB of internal storage with 16mp rear and 8mp front camera. The lowest price of Lenovo Phab 2 Pro is P24,499 at Lazada, which is 25% less than the cost of Phab 2 Pro at Lazada (P32,549). The latest price of Lenovo Phab 2 Pro was updated on Apr 15, 2019, 09:23. Boggling the Filipino tech market with the world's latest innovative technology is the new Phab 2 Pro from none other than Lenovo. Besides being technologically virtuosic, this new smartphone also wears a magnificent design. Lenovo's latest release, the Phab 2 Pro is the world's first smartphone to use Google's Tango – a technology for enhancing Augmented Reality gaming and utilities. Apart from this benchmark, the new Phab 2 Pro also excels as a daily lifestyle smartphone. To embrace the technological prowess of this phone, the makers have laid out a sophisticated design. The exquisiteness of the overall design is complemented by a metal body which incorporates flowing curves and edges. Up front, the display has dual curved edges that create a sleek profile. The body edges have been chamfered which are most striking to the eyes. Its rear panel has a matte finish and antenna bands are visible on the top and bottom. Moreover, its rear panel also has a subtle bulge which ensures an excellent grip. The measurement of its overall dimensions goes as 179.8 x 88.6 x 10.7 mm (7.08 x 3.49 x 0.42 inches). This model comes in 2 different colors which are Champagne Gold and Gunmetal Grey. With the support of AR (Augmented Reality), this new Phab 2 Pro offers several AR-based apps that complies with the real world through the trio of its rear camera. Some of these interesting AR-based apps are Lowe's Home Improvement, Woorld, Raise and Phantogeist. Making the most out of AR is the big 6.4 inches IPS HD display of this phone. This display has 1440 x 2560 pixels resolution at 459 ppi pixel density and 16M colors. Unlike most smartphones, there isn't high color saturation in this display which creates a warm hue. This, in turn, brings forth a pleasurable viewing experience. This new Phab 2 Pro is powered by a Qualcomm MSM8976 Snapdragon 652 SoC that uses Cortex-A53 and A72 processors with an octa-core configuration. This setup is joined by a whopping 4 GB RAM and Adreno 510 GPU. Users now get to store all their favorite stuff as the makers have presented a 64 GB internal storage on this device. This storage capacity can also be expanded up to 256 GB by a microSD card. The users have to use the SIM 2 slot as there's no dedicated microSD card slot. Lenovo has featured a 16 MP rear camera in this model along with depth and motion tracking sensors. This camera can record 1080p videos at 30fps and incorporates features like HDR, panorama, face detection and touch focus. 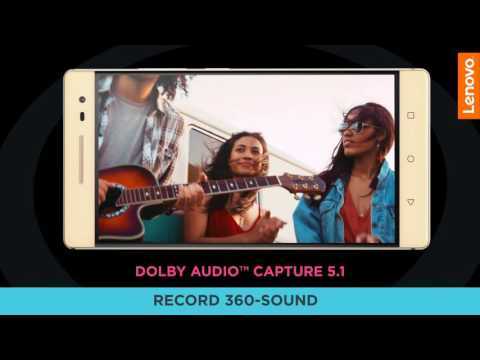 It's front 8 MP camera has a 1.4 µm pixel size and a f/2.2 aperture that captures more light to give brilliant selfies. Power in this model is backed by a non-removable Li-Ion 4050 mAH battery that offers an excellent standby time. Also, fast charging feature has also been presented which surges charge in no time. Lenovo Group Ltd. or simply Lenovo is a multinational technology company that is headquartered in Beijing, China. The company also has another headquarter in Morrisville, North Carolina, United States. According to the 2015 unit sales, Lenovo was listed as the largest personal computer vendor in the world. Apart from computers and smartphones, other products of the company include smart televisions, electronic storage devices, workstations IT management software and servers. This new Lenovo Phab 2 Pro is available in the Philippines and several market surveys hold that it is already selling in good numbers. This also comes obvious as Lenovo has a great fan base in the Philippines. Hello magandang hapon po, medyo nacucurious lang po kasi ako kung ano po kaya ibig sabihin nitong specs nyo na microSD, up to 256 GB (uses SIM 2 slot) sa external po memory? Salamat.